Our display will be part of the Air Liquide’s presentation which will include filler metals, welding gases, and safety products. A limited number of free samples of BLUESHIELD abrasives will be available as well. Drop by early to make sure you get one. 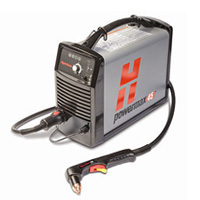 If you didn’t win the plasma cutter, not to worry, just visit our plasma cutting torch rental page. Red-D-Arc is pleased to announce that on September 5th, 2012 AC Hi-Tech, Inc. of Cleveland, Ohio was acquired by Red-D-Arc Welderentals, a global leader in the rental, sale and lease of welding equipment, weld automation equipment and other welding-related products and services. AC Hi-Tech’s team of dedicated personnel has become part of the Red-D-Arc team, continuing to work out of their existing Perkins Avenue facility in Cleveland. They will continue to provide the same level of cutting machine equipment expertise and service that you have come to appreciate and respect. 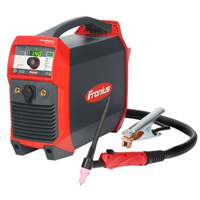 In addition to offering cutting machine sales, lease and rental services, the former AC Hi-Tech facility will also inventory Red-D-Arc’s proprietary line of rental welding equipment to better serve both new and existing customers in the Cleveland and surrounding areas. In addition to other weld-automation product offerings, the Cleveland facility will continue to offer cutting machine remanufacturing services, CNC controls, custom-built drive, motors and gear boxes, high-quality cutting and plasma machines and accessories as well as other state-of-the-art equipment to help make your company more productive.